The basic tenet of the Indian Premier League has been the amalgamation of Indian talent with overseas' superstars. The overseas cricketers have been crucial to the success of the IPL over the years. This year too, with every passing day, we are seeing the overseas superstars lit up the stage of the tournament. Last night, Kieron Pollard, with his side requiring a record 133 runs off the last 10 overs, promoted himself at the No.4 spot in the batting-unit and played one of the great T20 innings (83 off 31 balls) to help his side pull off a jailbreak. Like Pollard, we have scintillating performances from a plethora of International stars that have helped light up the 11th edition of the tournament. It might be just two games though but we have already seen the precocious talent of Alzarri Joseph. The 22-year-old West Indian fast bowler and one of the key members of the Windies 2016 U-19 World Cup victory had a dream debut to his IPL career as he claimed the prized wicket of David Warner with his very first delivery- off an inside-edge. After Warner's wicket, the West Indian went from strength to strength and courtesy incisive pace and bounce proceeded to knock over the SRH batting-unit for 96 in 17.4 overs, handing his side a comprehensive 40-run win. During his spell of 6-12, Joseph broke a plethora of records like overhauling Sohail Tanvir's 11-year record of best bowling figures [6-14, 2008]; the best figures on MI debut [Previously held by Lasith Malinga [3-15 vs CSK, 2009] and the best figures on IPL debut bettering Andrew Tye's figures of 5-17 against Rising Super Giant two years ago. And, he did that again in his second game- this time with the bat in his hand to hit the winning runs for his side against the Kings XI Punjab. You've got to be doing something really special to keep a guy of the caliber of Shakib Al Hasan out of the playing 11 in the IPL. 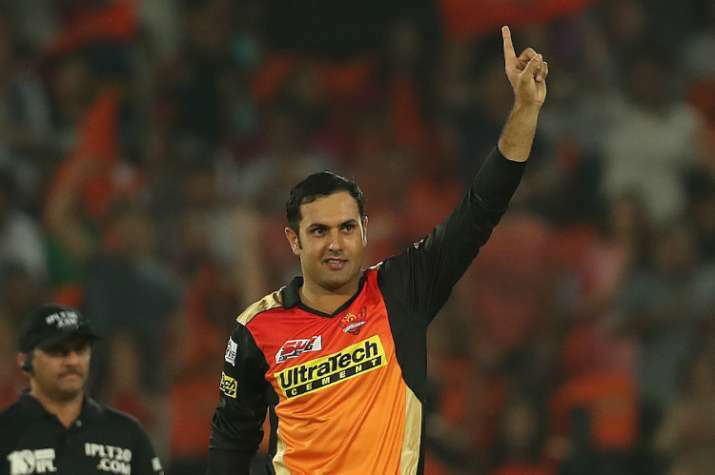 Shakib, who has been a veteran of the IPL, has found it difficult to slot himself into the SRH, given the slew of impressive performances delivered by Afghanistani all-rounder Mohammad Nabi. Having got an opportunity to feature in this edition against the Royal Challengers Bangalore, Nabi wasn't going to let it slip; and he didn't. 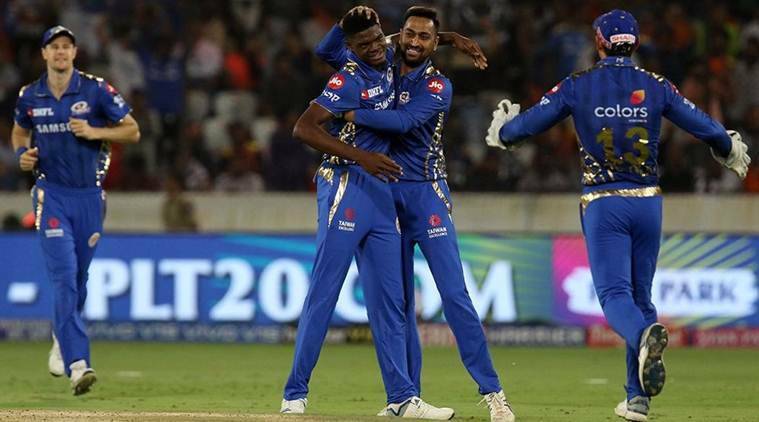 In a match that was marked by a record 185-run stand between Jonny Bairstow and David Warner, Nabi made his presence felt by claiming the prized scalps of AB de Villiers and Virat Kohli to effectively end RCB's challenge in the first six overs. The wicket of de Villiers, especially, would have done Nabi proud as the Afghan spinner completely deceived the champion batsman with his guile to shatter his stumps. Nabi claimed 4-11 and backed it up with figures of 2-21 [vs DC], once again claiming the crucial wickets of Shikhar Dhawan and Rishabh Pant to peg the Capitals' back. In 4 games thus far, Mohammad Nabi has claimed 7 wickets at an average of 12.41 and a barely believable economy of 5.49. They might have missed out in the last couple of games, but their's no denying the fact that the duo of David Warner and Jonny Bairstow have lit up the tournament at the top of the order and have emerged as the most destructive opening partnerships in this years' IPL. The duo's Magnus opium arrived during their record-breaking stand of 185 against the Royal Challengers' Bangalore with both Warner  and Bairstow  notching up individual tons which ended in a rare sight of an Englishman and an Australian hugging each other amidst a sea of orange. This record-breaking stand was a third back-to-back hundred-run stand between David Warner and Jonny Bairstow; becoming the first pair in the history of the tournament to achieve the landmark. Imagine your captain has trusted you to defend 11 runs in the Super-Over against Andre Russell. You go for a yorker, miss it by a fraction, and Russell nails it for a boundary. In most cases, the bowler's confidence will be shattered. But, not when your name is Kagiso Rabada. The next ball- Rabada goes for the yorker again and cleans up Dre Russ to effectively swing the game in his sides' favor before proceeding to nail three more deliveries in the blockhole to keep the score down to 1-7. The Proteas spearhead has displayed thus far as to why he is considered one of the most complete bowlers' going around, and it was indicated on the night of the Super-Over. Rabada was not done yet. 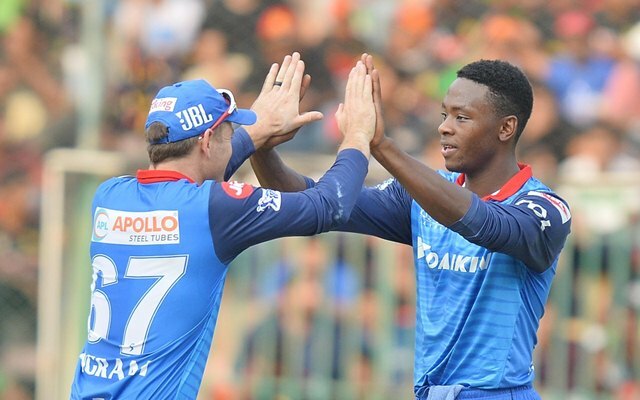 In the match against the Royal Challengers Bangalore, Rabada went on to notch his career-best figures [4-21] in T20 cricket, breaking the backbone of RCB's batting with prized scalps of his compatriot AB de Villiers and Virat Kohli to set-up a famous win for his side. The 2019 edition is increasingly becoming the Andre Russell-size dilemma for the opposing teams and captains. The West Indian has been in sublime form, pulverizing the bowlers into oblivion. The all-rounder has so far smashed 49* (18), 48 (17), 62 (48), 48* (13) and 50* (44)- that's 257 runs at an average of 128.5 and a strike-rate of 212.39, and it is not only the brutality of his hitting but the timing of his assault in almost every match. Never in the IPL before, had 50 runs been chased down in the last three overs; but Russell's swashbuckling hitting has paved the way for it to happen twice- against SRH and RCB, underling his status as the 'Most valued player' of the season.